If you’re looking for barcode, shipping, or general use labels that need to withstand fluctuations or extreme temperatures—including cold, rain, heat and humidity—then these weatherproof thermal transfer labels are a great option. Unlike direct thermal labels that are damaged by exposure to high temperatures, Thermal Transfer Weatherproof labels can hold up in outdoor conditions. 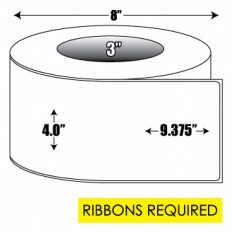 They are made from a 2.6-mil white biaxially oriented polypropylene (BOPP) film, designed specifically for excellent durability and performance in harsh environments. They offer outstanding performance on waxy, corrugated cardboard and can withstand prolonged use in freezers, refrigerators and cold weather, outdoor applications. 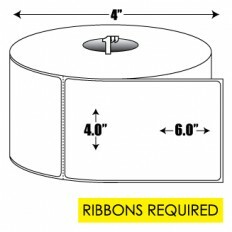 Please note that thermal transfer labels, weatherproof styles included, require the use of a thermal transfer ribbon. 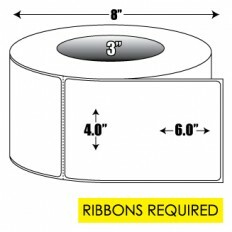 Our weatherproof labels are GHS compliant labels. 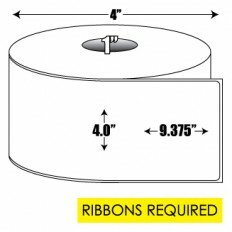 Blanco recommends choosing a more durable ribbon than wax if you intend to use these labels in harsh outdoor environments. We carry cold temperature thermal transfer labels in several sizes, and we’re always available to help you determine which labels are best for your printer and application.